Recipients of Valentine&apos;s Day cards over the next few days are sure to include spouses, partners, family, loved ones and the ones the kids will deliver to teachers. But in Ardmore, a collection of cards has been steadily building for local businesses. The little love notes are the inspiration of the Ardmore Initiative, the business district authority under which business and property owners collaborate to ensure the town&apos;s ongoing vitality. The program piques my curiosity: Who would send a Valentine to a business? Turns out, a lot of people. As I discovered during an informal tour, the customers who patronize the retailers and service providers in Ardmore are extremely passionate. So much so that numerous storefronts along Lancaster Avenue, Cricket Avenue and Rittenhouse Place have strings of red hearts hanging in their windows. And on each card is a tiny, handwritten message of appreciation. Jason&apos;s Toridasu, for example, is a bustling place for takeout sushi. The messages he&apos;s received recognize his culinary excellence: "The food is amazing and delicious," gushes one fan. I then walked over to Maido, one of the only Japanese-owned grocery stores in the Greater Philadelphia area. The market is something like Wawa but based in Asian merchandise and food. Packaged food is available (including a kiosk of Valentine&apos;s Day merchandise in Japanese), displayed neatly in a series of aisles. But the store also offers counter-service quick meals, prepared by owner-operator Seiko Dailey. As Dailey busily filled lunch orders, a big-screen TV behind her ran a stream of Asian programming, including a colorfully energetic game show. The display of hearts at Maido specifically cited Dailey&apos;s "wonderful service." 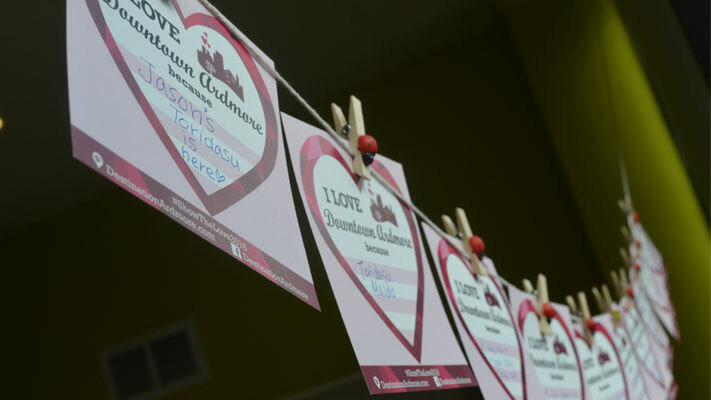 Other Ardmore fans used Maido&apos;s supply of Valentines to comment on their admiration for the entire downtown district. One noted the area&apos;s music scene ("It&apos;s dope! "), and another praised its vibe ("...a great escape from the city"). The eclectic shopping possibilities in Ardmore extend beyond foodstuff. I swung by Harry&apos;s Treasures and Collectibles, an antique store, and met Harry Althouse. 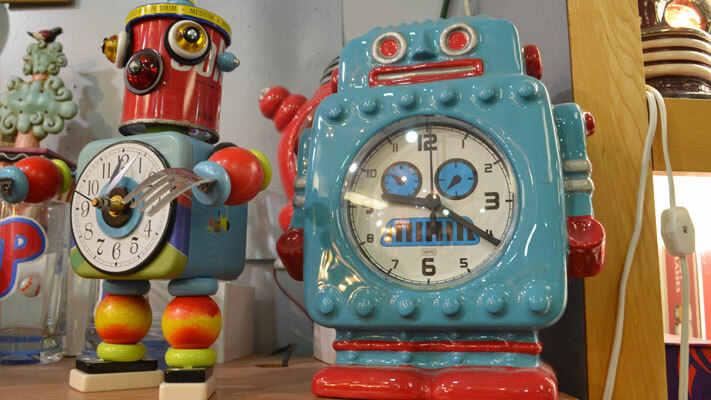 This ex-Navy man has been dealing in collectibles since 1990, when his hobby crossed over into full-time work. "Let me tell you my favorite slogan," he said. "I live, work and play in Ardmore. "This is a great place for my business," he continued. "I buy estates, and being on the Main Line puts not only excellent merchandise nearby. And also excellent customers. People come in from all walks of life, from ordinary middle-class buyers to people who are clearly affluent." One fervent fan has left a short but powerful message: "Harry rocks!" In walking to my next stop, I passed Viva Video. This self-declared "last picture show" rents DVDs in true retro style. It displays titles on shelves fit for browsing and happily makes recommendations, providing 1:1 interaction that no mail-order or streaming service can match. Next on my Valentines visits was Past, Present and Future. Behind the counter was Sherri Tillman, proprietor, who was happy to guide me through her fanciful stock. 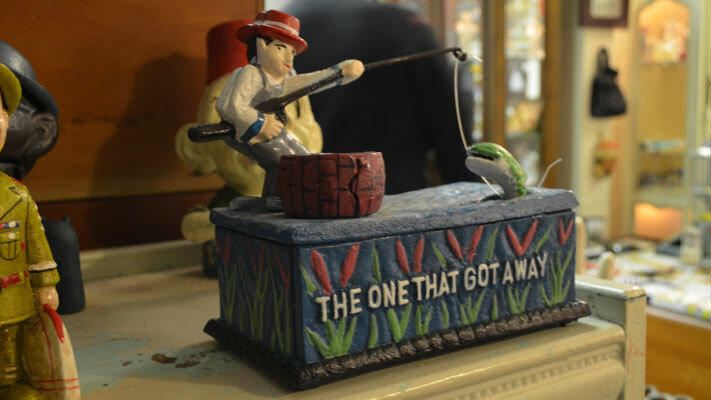 The shop carries a little bit of everything: jewelry, cards, children&apos;s books, scarves, bags, wall-hangings, clocks and dozens of other tchotchkes. Tillman and I chatted about how refreshing it is, in this era of big box stores that all feature similar wares, to find such unique items. 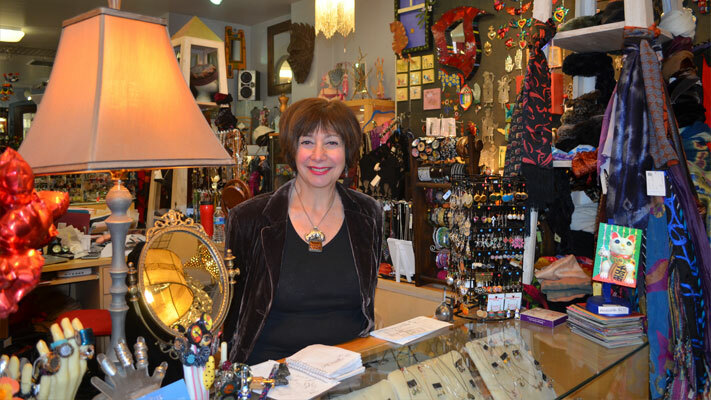 She sources much of it locally, with a collection of go-to artists that she happily frequents. We also discussed how, in an era of internet shopping, she operates on a decidedly low-tech plain: "I still write my receipts out by hand," she confessed. One last stop brought me to Viking Pastries. It wasn&apos;t until I was onsite in Ardmore that I remembered Viking. When my wife and I were married nearly 30 years ago, we got our wedding cake there. I was thrilled to find them still in operation. I stopped in and told the counter-person of the connection, which she was happy to hear and promised to pass onto the owners. I didn&apos;t write out a Valentine to the bakery, but very well could have. Instead, I walked away a bag of few heart-shaped cookies for my wife, complete with a sticker indicating where I had bought them. This Valentine&apos;s weekend, fulfill the heart&apos;s desire of the special people in your life. Plan an escape for the Friday-to-Monday break from the ordinary workweek. Nestle into one of our fine hotels, reserve an intimate table for two and celebrate.